For this post I was faced with a monumental task. 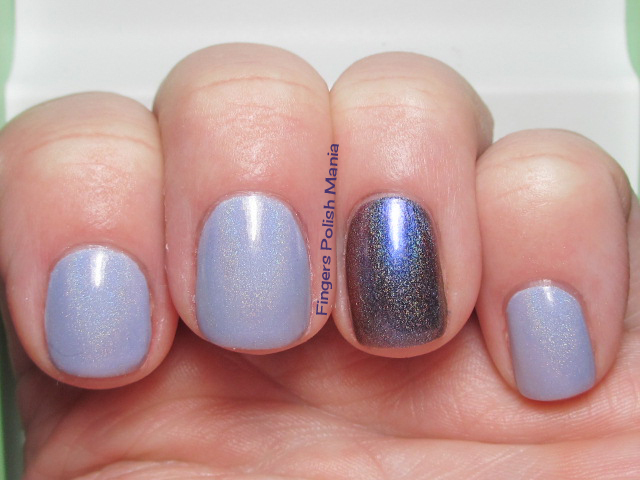 Which of my new 15 holos to wear first! I know, I know such a tough decision for us polish lovers. How to choose the right one? 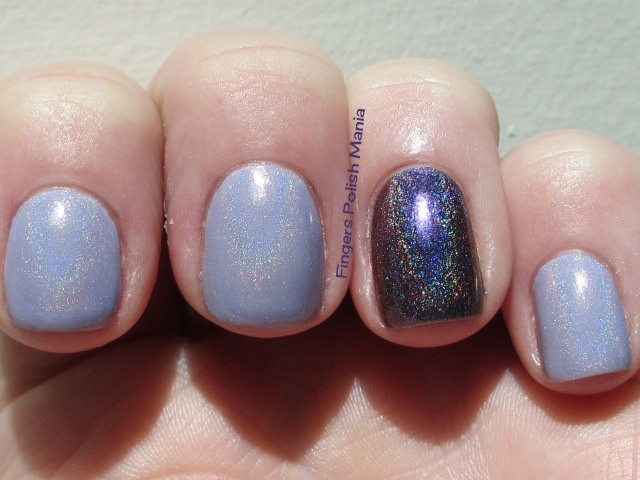 I swatched several on my nails, went out in the sun, thought about what colors had been on my blog lately and decided it was a purple day. Now the only other issue I faced was, would my camera cooperate? The other tough decision I faced this week was at work. I was asked what I felt was working for me and what wasn't working for me. Now I am the type of person that if you ask me a question, you bet you're gonna get the answer whether you like it or not. Now the answer to this question would be to rat out my coworkers. There is quite the imbalance between what I am expected to do and what my coworkers with the same title do. This meeting happened on a Friday and I am kind of nervous about going back to work Monday. What if they found out all the things I said? I was promised that wouldn't happen, but we all have heard the whistle blower stories out there. Will I become a pariah? I have been at my job long enough to understand that no matter what is said, absolutely nothing will change. It's just fact that the higher ups listen well but have no follow through. This makes me realize I may have ratted for nothing. I do feel strongly about the stuff I said and kind of glad I said it, but deep down I know nothing will come of it. All this will blow over just like everything else there. As long as what I'm doing doesn't get messed with, I'm all good. Let's get on with today's pretties shall we? Here is today's silly bottle shot. This is Enchanted Polish Time to Pretend and Love The Way You Lilac. Oh the prettiness that is yet to come!!! I started with Lilac and an accent of Pretend. 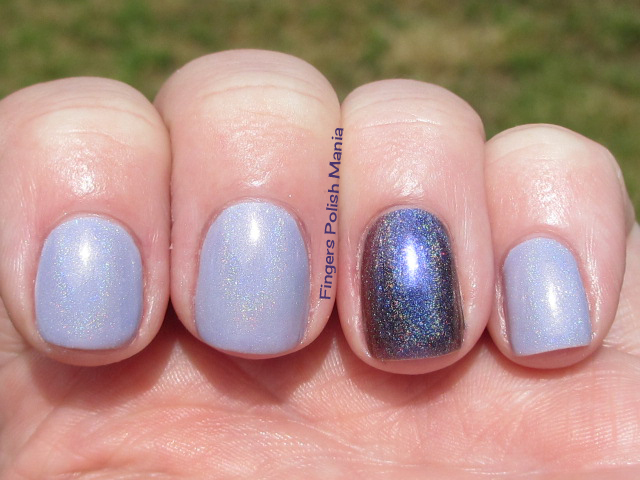 Lilac is a pretty pastel purple with linear holoness and Pretend is a duochromey strong holo that just blew my mind with the strength of the rainbows. Here are the starting shots. Are you freakin kidding me right now? This is absolutely stunning. 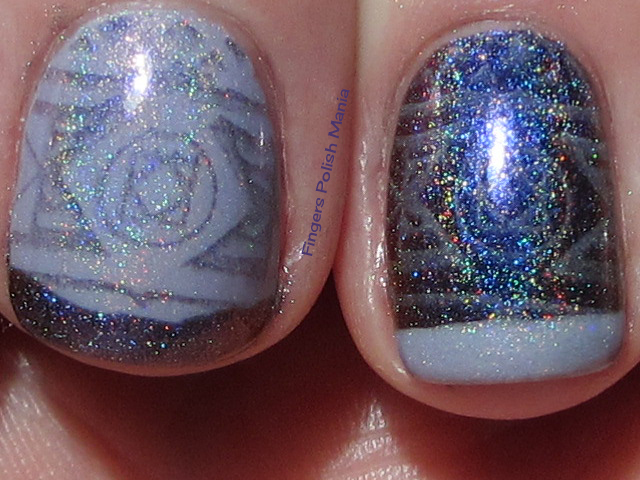 I am in holo heaven right now. 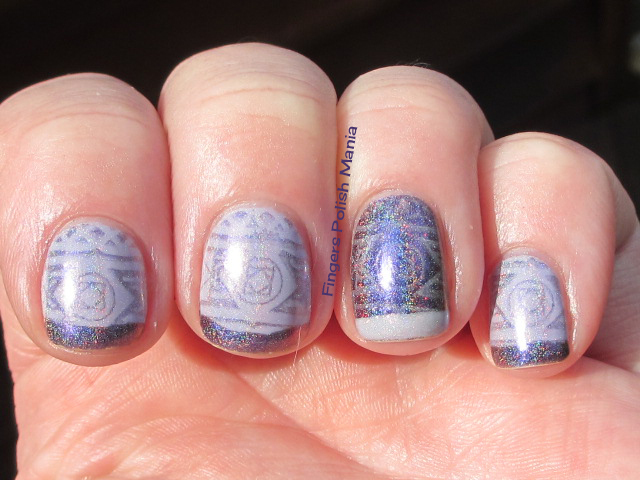 Next I stamped with the opposite color using Cheeky jumbo plate 10 Happy Nails. Here is that step. Subtle yes but oh so awesome! Finished this off with my funky as always. Here are the results! The sun shots were taken the next day hence the tip wear. The sun was not cooperating by the time I got to that step in my mani. 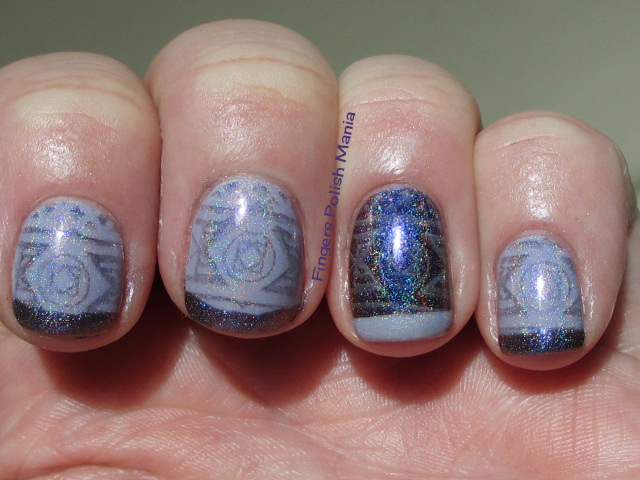 Oh how I love these new holos! Absolutely making me happy right now! Would you be a whistle blower if asked? FYI-more has been added to my blog sale-make sure you check it out! Very cool stuff indeed!